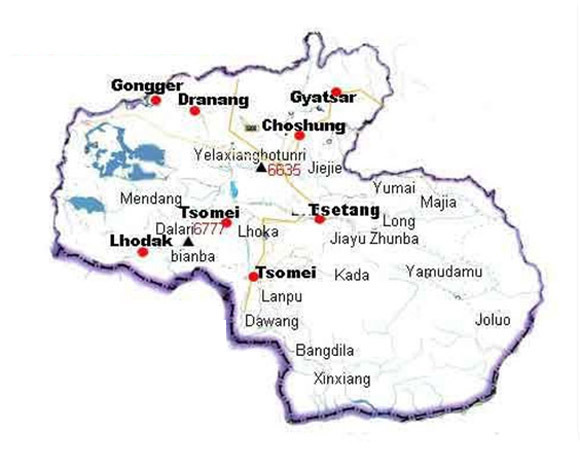 Chonggyel tomb of Tibet kings . 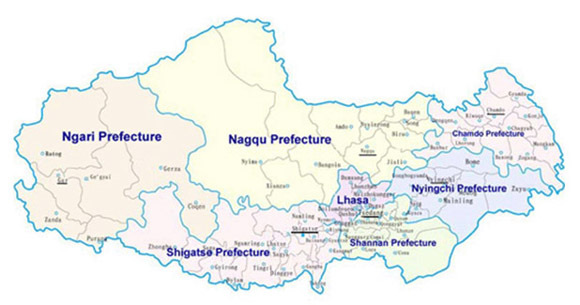 Nyingtri is located south part of Tibet ,it is far from lhasa 430km at the Tibet –sichuan high way ,the Nyingtri lowest in height among the 7 prefecture in Tibet ,the capital town is called from Chinese Bayi, the Nyingtri prefecture whole area is covered by a dense and evergreen virgin forest which is biggest in Tibet, the average elevation 3000m sea lelevel ,the climate is relatively humid and warm, the town of Bayi which once occupied this strategic site, has been completely absorbed by the recent urban development ,is one of the important town of the sichuan-Tibet highway and Yunnan-Tibet hwy. 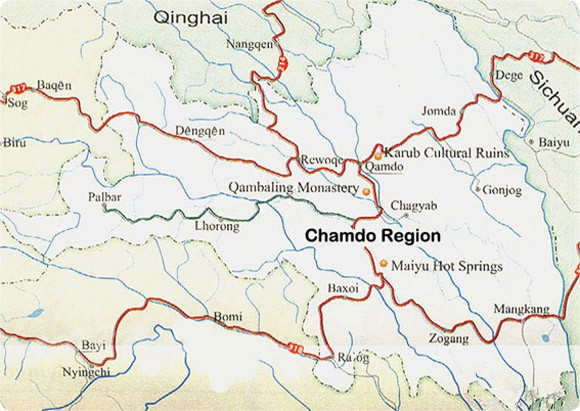 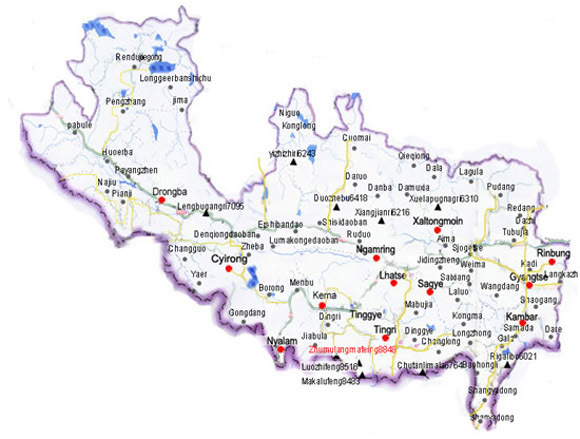 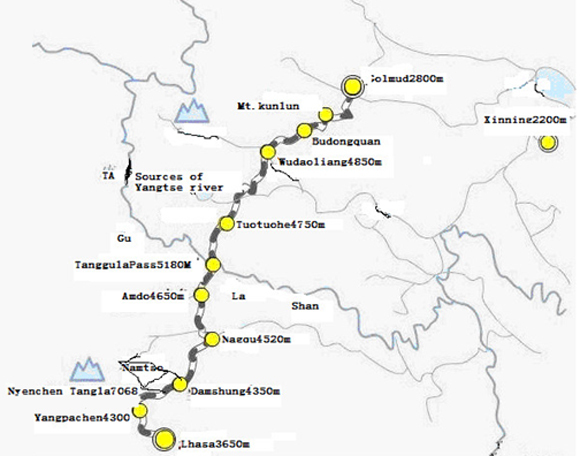 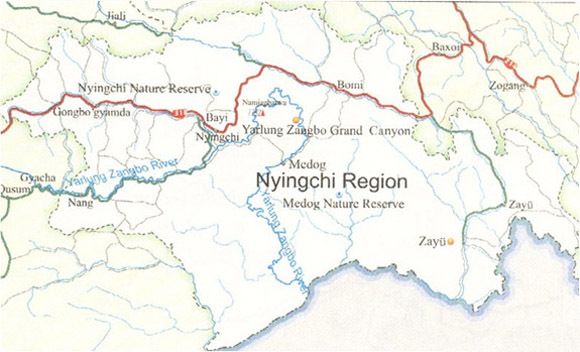 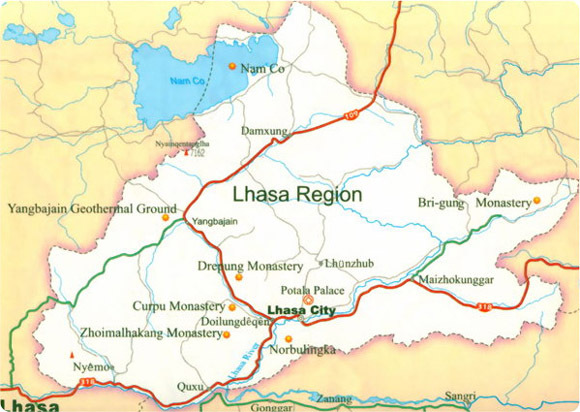 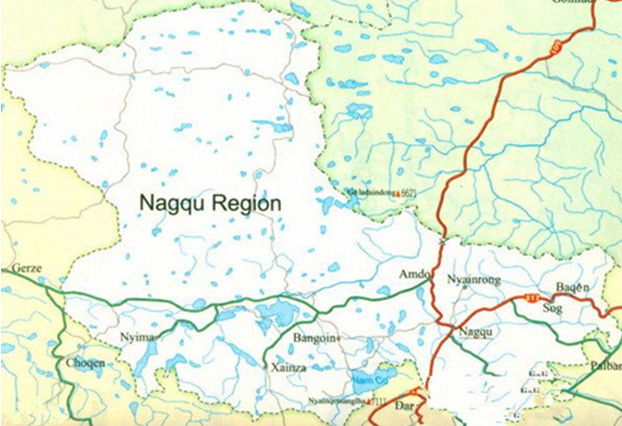 The Nyingtri also in Tibet called Kongpo,is one of the important town on Sichuan-Tibet Hwy and Yunnan-Tibet Hwy. 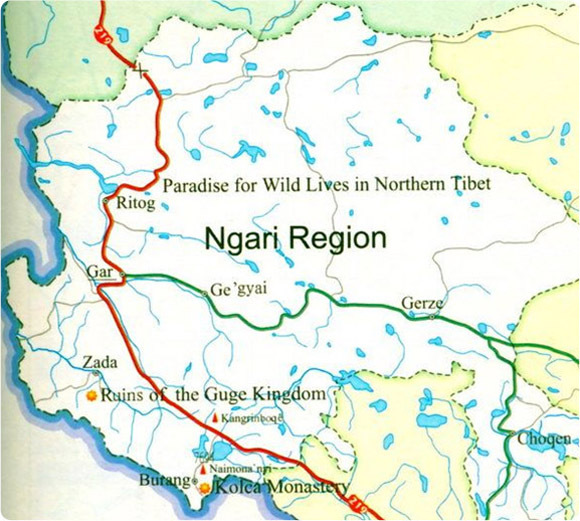 Introduction：Nagqu is located in the north part of Tibet ,traditionally known as Jang Nagquka.is the name given to the high nomadic terrain of the E Jangtang Lakes and the Salween headwater,the average altitude 4500m.this is a vast wildness region through which the Nagchu Shak-chu and Sok-chu tributaries flow to from the Salween ,a 2.784km river rising in the Dangla range to the N,which has its estuary at the Gulf of Martaban, S of the Burma ,the city of Nagchu,which has undergone unprece-dented development within the last 2 years, is the administrative capital of nine counties within the upper Salween region ,as well as having its own county level bureaucracy .